Princess Leia Organa is a bold leader of the Rebel Alliance. During a mission on Endor, she meets Wicket the Ewok. Their friendship leads to victory as the Rebels and Ewoks join forces against the evil Empire! 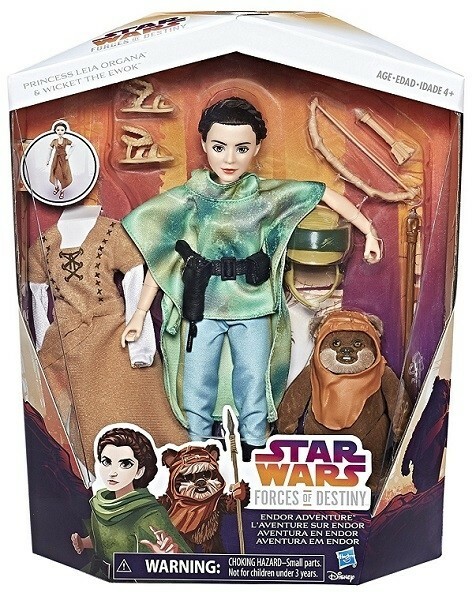 Imagine epic adventures defending against the Empire among the giant trees of the forest moon of Endor with these Star Wars Forces of Destiny adventure figures. 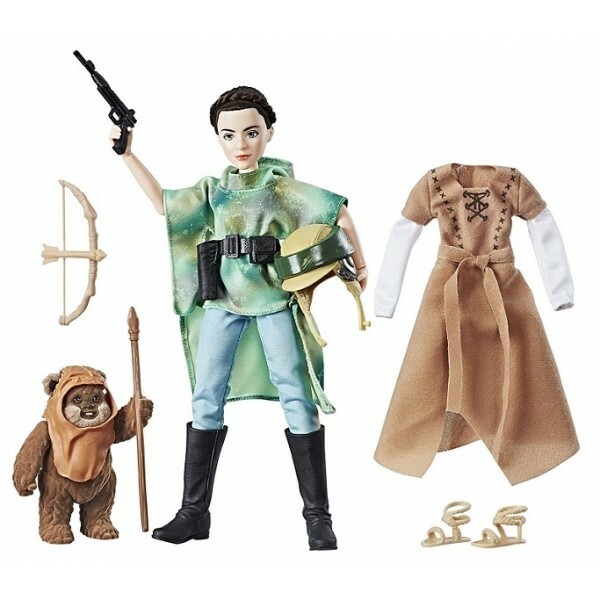 The highly poseable 11" Princess Leia Organa figure, part of the Star Wars Forces of Destiny Collection, comes with two removable outfits. When it's time to journey through the deep woods, dress her in her removable poncho, helmet, pants, and boots. 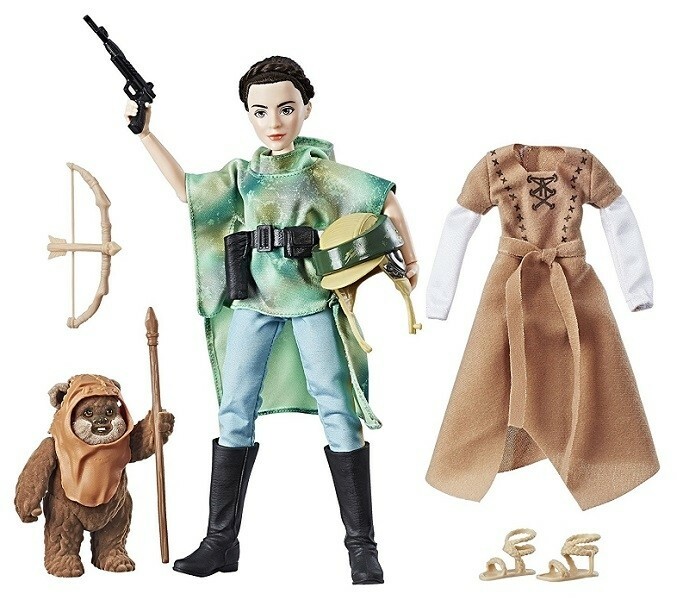 Then put her in her dress and shoes for the celebration at the Ewok village. Wicket has a removable hood and an adorably fuzzy body.